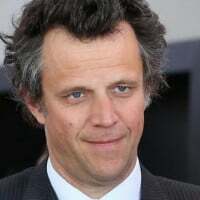 If true this amounts to a huge blow for Publicis Groupe which services the majority of the account through its media specialist Starcom MediaVest, and – by the same token – a big fillip for Aegis, owner of Carat, the publicly-listed company steered by Jerry Buhlmann. The review, one of the biggest of its kind in the world, was instigated by GM marketing supremo Joel Ewanick (pictured) as part of a slew of measures designed to tighten up the automobile giant’s worldwide marketing performance. Before the review, GM used up to 20 media specialists. However, the bulk of the spend – two thirds in fact – is committed to North America (the Chevrolet, Buick and Cadillac marques), and much of that has passed through Starcom since 2005. Carat, which has been on the GM roster for a slightly shorter period but consolidated its hold during a 2010 review, handles the $500m European business (Opel and Vauxhall). Interpublic’s Universal McCann was responsible for much of the Latin American business. If Ewanick has stuck to his word and included these in the consolidated Carat package, his decision will represent a double whammy for Publicis. Back in the summer, PG boss Maurice Lévy sought to shore up his position on the increasingly important GM digital account by taking a 51 per cent stake in Big Fuel, which holds the North American social media account. The acquisition was aligned under the Vivaki digital unit. so what happened here Stuart? still sticking by this story?